According to Nuclear and industrial Safety Agency (NISA) the new radioactive iodine levels in seawater near the plant - 4,385 times the legal limit. Radioactive iodine was estimated to be 3,355 times the legal limit On Wednesday, while previously the figure had been put at 1,850 times the legal limit. Radioactive iodine was blamed for the high incidence of thyroid cancer among children exposed to fallout from the Chernobyl nuclear disaster in 1986. 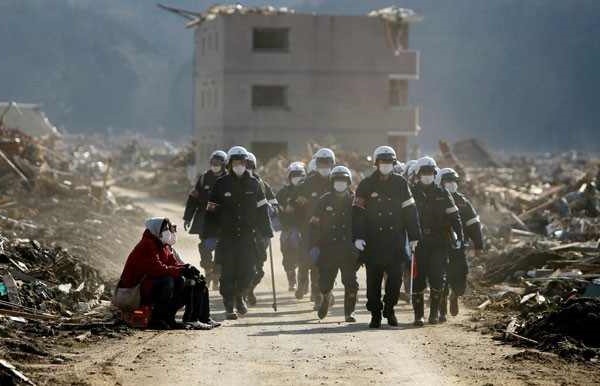 Nisa's director-general, Hidehiko Nishiyama, told reporters the new levels did not present a health risk because nearby residents had already been evacuated. Officials point out that no fishing is allowed in the area. Because the radiation should disperse as it is carried away by the tides, they do not think there will be a serious threat to marine life.